[LOS ANGELES] 5.28.2014. 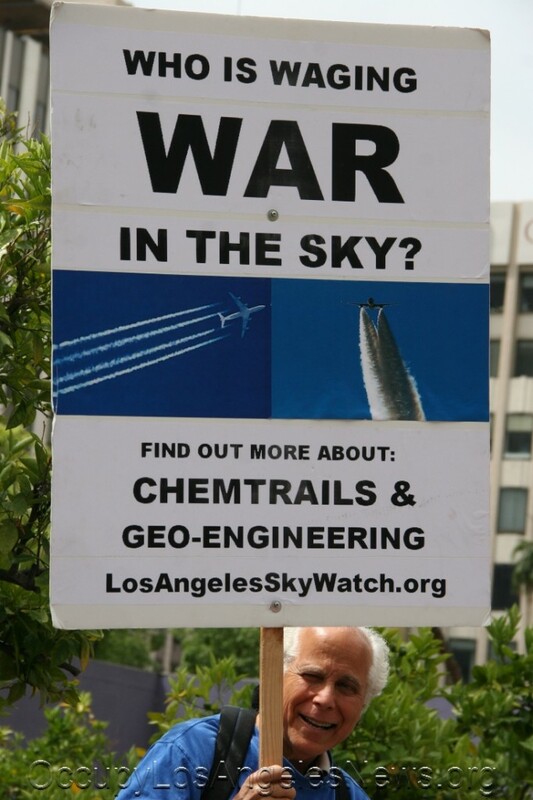 “Chemtrails – Predictions” written by Ken Welch of Houston, Texas describes a time in the future where chemtrails will not exist. Chemtrails according to some is the “deliberate release” of chemicals and biological agents into the atmosphere by private, commerical, and military airplanes as they fly overhead. industry will start exploring the use of vegetable oil instead of fossil fuel in their jets. This vegetable oil may eliminate chemtrails altogether as Mr. Welch predicted below. “You are going to see that chemtrails will soon disappear into another of those information black holes and become a non-event. But there will come day, years from now, when you may be talking with your grandkids about the great pandemic. Take out the pictures. They, living once again in a world of blue skies will be amazed. Explain to them that for seven years before the great pandemic your government sprayed chemicals on everyone, and this is what it looked like, even though most people didn’t even notice. When they’re old enough, give them the pictures and ask that they also show their own kids, and so on. Things like this absolutely must be remembered and for that to happen we must all do our part. Chemtrails will also be preserved in motion pictures that were filmed during this period, and sometimes are quite noticeable. You can watch “Bourne Supremacy”, for instance, and play a game called “spot the chemtrails”". This entry was posted in Cataloged Recent Posts, Occupy Local News, Occupy National News and tagged "Bourne Supremacy", "Chemtrails - Predictions", "spot the chemtrails"", Chemtrails, Ken Welch. Bookmark the permalink.